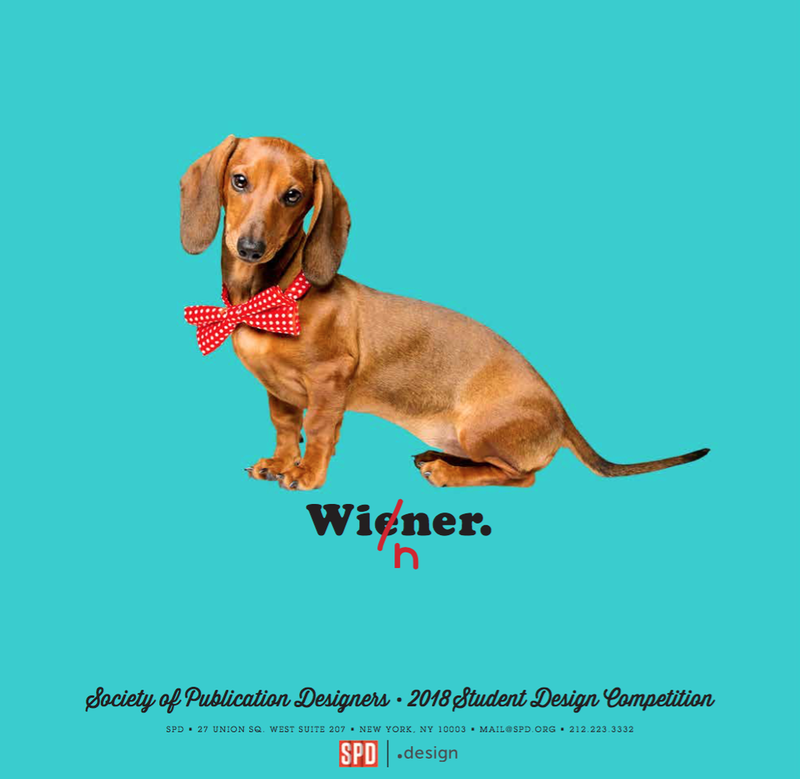 The 2018 SPD-U Student Design Competition is Now Open! The 2018 SPD-U Student Design Competition is now closed. The SPD-U Student Design Competition is Now Open! Enter by Monday, March 19, 2018! All entrants receive a free .design domain name from Porkbun.com. WANT TO ENTER? GET THE DETAILS BELOW! Download the official CALL FOR ENTRIES with the complete rules and entry form HERE! SPD Student Members get their first 3 entries FREE! (Though student members can enter more than that...if you do, any additional entries will cost $10 each.) Please note: Even though they're free, you must register your 3 free member entries [HERE]. If you're not a member but would like to join, you can purchase your SPD Student Membership and register for your 3 free member entries at the same time [HERE]. Otherwise, each entry is $10. You can pay your entry fees online [HERE]. If you're mailing in payment, please complete the payment form and send in cash or a check made payable to "The Society of Publication Designers". YOU MUST INCLUDE THE RECEIPT WITH YOUR ENTRY. If we cannot find proof of payment or a valid SPD Student Membership, your entries may be disqualified. All entrants will receive a free .design domain name from Porkbun.com. The first, second, and third place winners will receive 10 years of free registration for their new .design domain. The first, second, and third place winners will be honored with an Award of Excellence and an invitation to the Society of Publication Designers' Annual Awards Gala on Friday, May 4, 2018 in New York City. The top 3 will also be offered a summer internship at a major magazine in New York City, as well as a cash prize. Thanks so much to Porkbun.com for sponsoring the SPD-U Student Design Competition!